After talking about creativity last week, I had to laugh when I passed this fence while walking the dog the next day. I LOVE IT Gwen, you have a very nice type of humour. My Husband and I had a big laugh. The question I have is…who didn’t get stopped? 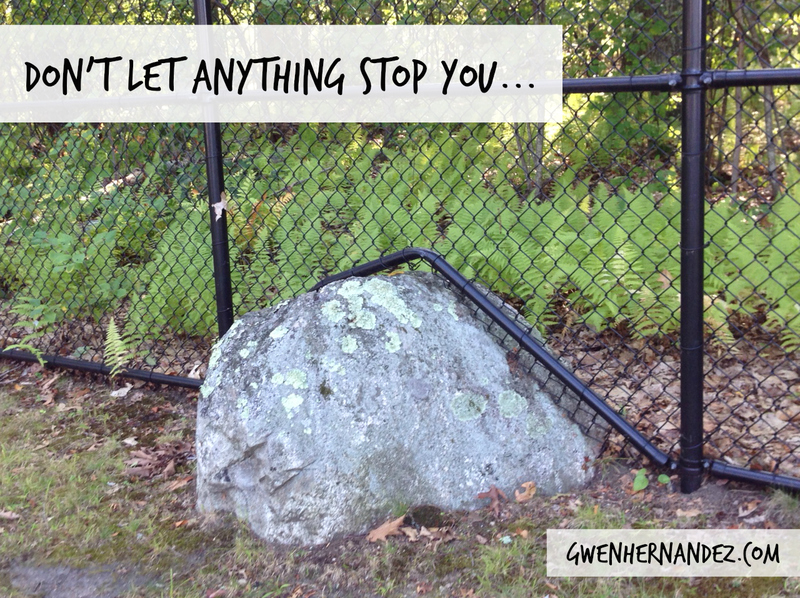 The fence maker — or the boulder? It seems it’s a win-win compromise.